Interestingly enough – If you said “biscuit” to an American – they would think of a flour based soft cake like treat (a bit like a scone) – while to a Brit, they would picture a dry and hard texture treat. So what kind of biscuits/cookies do you like baking? The 5 that we mention below are from our Belgian bloggers who have made us drool over their traditional (tea biscuits) and not so traditional versions. While Greg of Cook n Roll uses kumquats to give his Florentines that something extra! And Sophia of Real Simple Food shares her recipe for Barley Chocolate Chip Cookies…. Mmmmm, so good that it would be rude not to have another one! And finally – although not technically a “biscuit” – we couldn’t resist sharing Elisa of Belgian Smaak 7 easy steps to make Rocky Road. 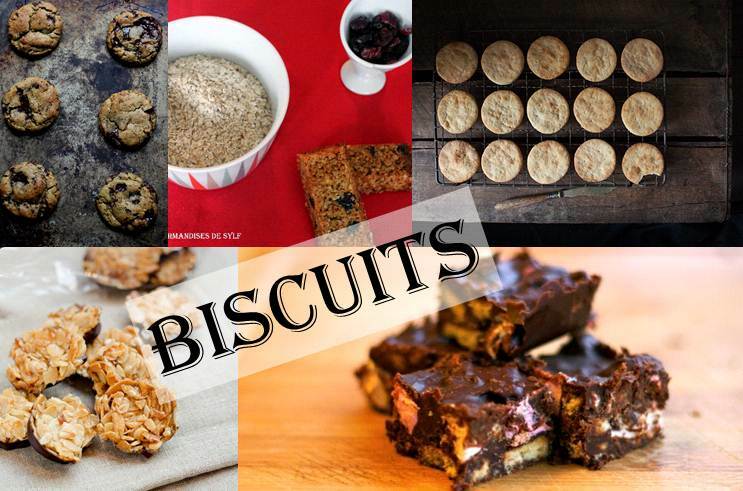 Do you have a favourite biscuit recipe that you wish to share with us? Just add the link to the comments section below!